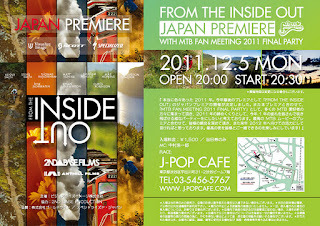 The Japan Premiere of mountain biking film FROM THE INSIDE OUT will be combined with the Mountain Bikers year end party at the J-Pop Cafe in Shibuya on Monday, December 5th. Doors open at 20:00 with things geting under way at 20:30. 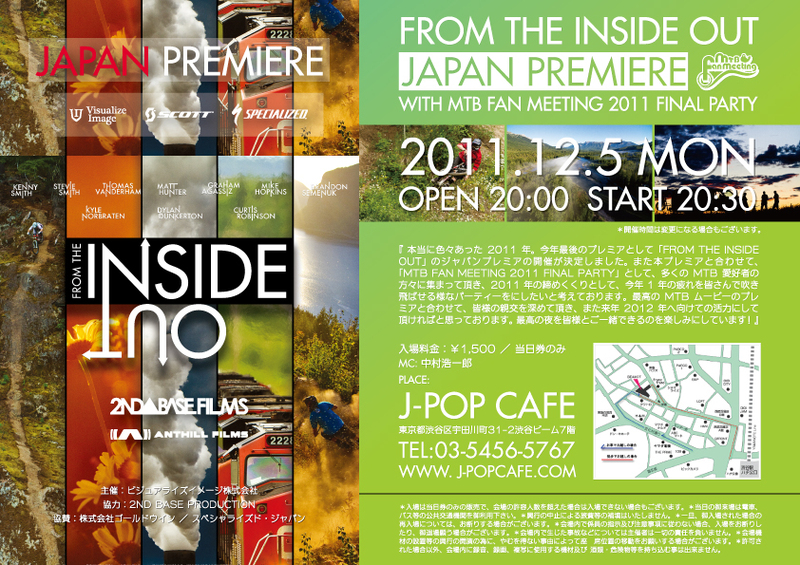 Entry is ¥1,500. Many well known Japanese mountain biking and downhill identities will be attending including past and present pro riders. The event is open to all who enjoy mountain biking. Thanks to Wada-san from The Trail Store for passing on this information.